Four bills relevant to collision repair were held for further study Tuesday after what the Providence Journal reported was a two-hour, well-attended hearing before the Corporations Committee. The Journal described it as the “annual fight” over auto insurance and repair. Rhode Island has a history of bills favorable to the auto body, so much so that the Property Casualty Insurers of America issued a special report attacking a local collision repair association (and Repairer Driven News to offer a few counterargument statistics that PCI omitted). The Journal noted this was possibly “the most heavily vetted” legislation at the meeting. 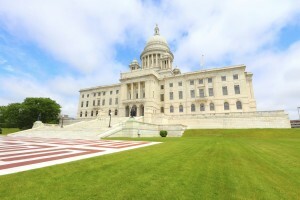 Auto Body Association of Rhode Island lobbyist Peter Petrarca said that third parties, including those whose property was damaged by an insurer’s policyholder, are frequently “pushed to the side,” according to the Journal. PCI state government relations Vice President Frank O’Brien said that litigation would increase premiums, according to the Journal. PCI also has estimated similar bills in 2011 would have increased auto insurance rates by as much as $215 if they’d passed, citing data partially derived using a 2010 Berkeley Research Group study of bad-faith lawsuits. However, Rhode Island requires approval for any rate increases of more than 5 percent, and a more than 18 percent bump in average rates (based on 2012 numbers used in that report) for policyholders getting liability, collision and comprehensive insurance, would probably not be an easy sell to state officials. “With all due respect, I’m an attorney, and if you’re not doing something wrong, you shouldn’t be worried about litigation costs,” Petrarca said, a ccording to the Journal report. House 5491, which would create two tiers of auto body shops recognized by the state, “Class A” and “Class B” — and require insurers to provide different labor rate surveys for both levels. Read our earlier analysis of it here. House 5607, which licenses auto glass shops. House 5783, which alters a definition of “aftermarket part” to any non-OEM part on a vehicle, not just on the body.